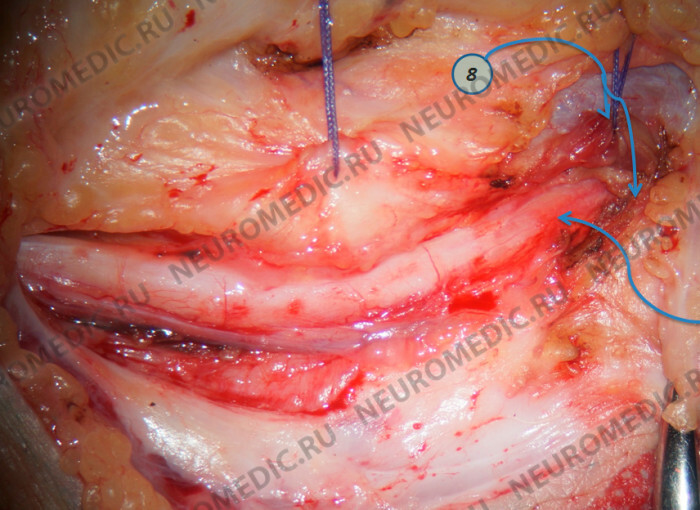 Surgical treatment of cubital tunnel syndrome. 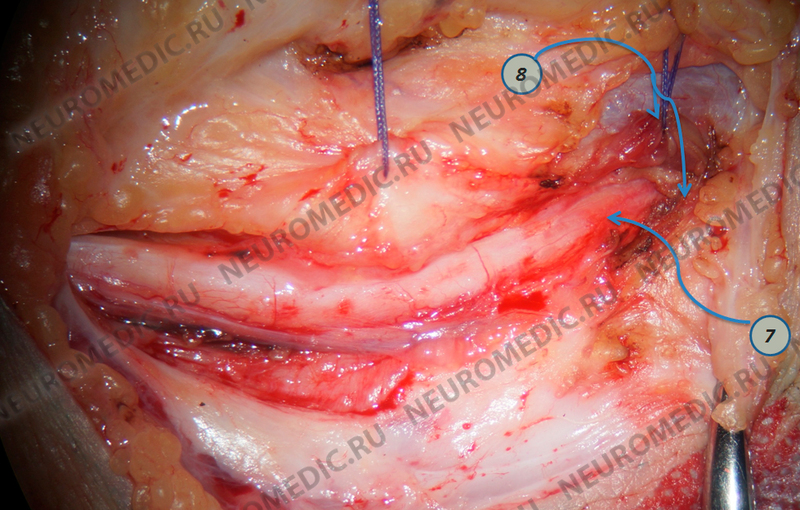 Struthers’ ligament is opened proximally, ulnar nerve (1) and medial head of the triceps (2) are visualized. 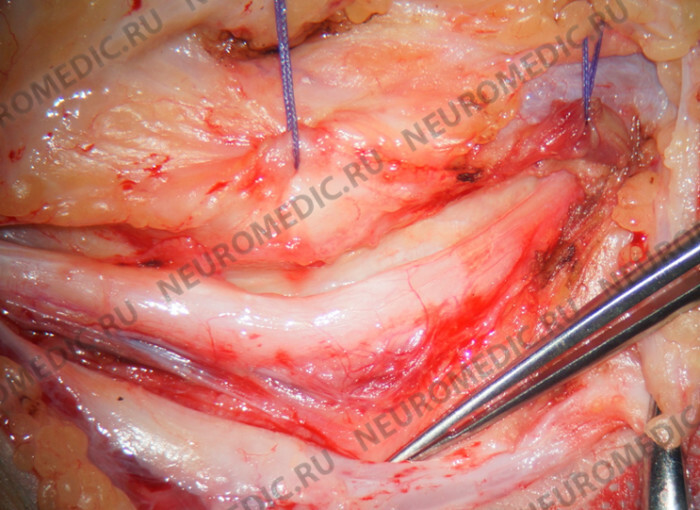 Subsequently, the ulnar aponeurosis is dissected (3). 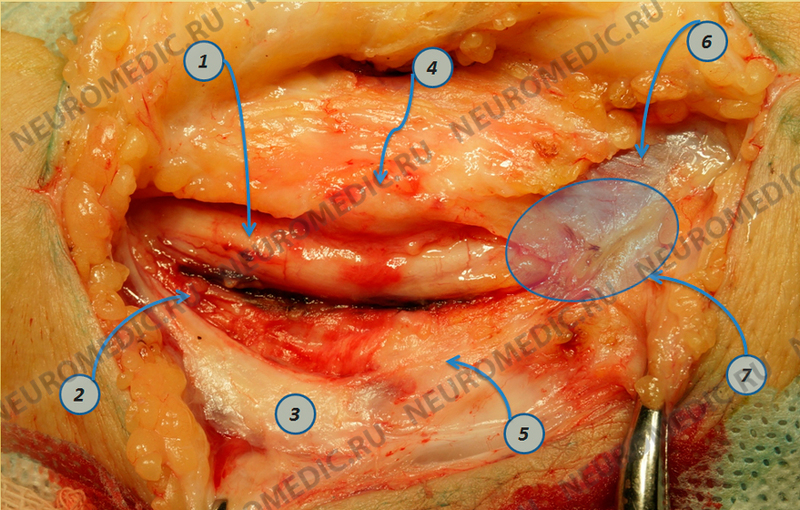 The ulnar nerve runs in the groove between the condyle (4) and the olekranonom (5). 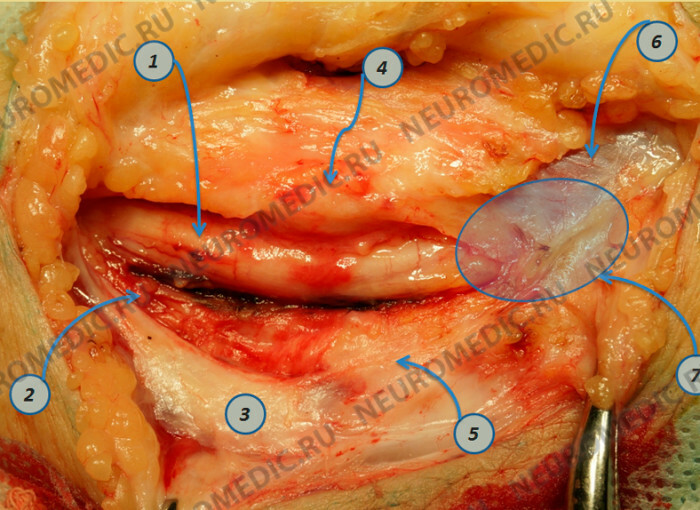 Humeral head of the flexor carpi ulnaris (6), cubital tunnel (7). Вскрыт кубитальный канал (7)., продольно рассечен локтевой сгибатель кисти (8). 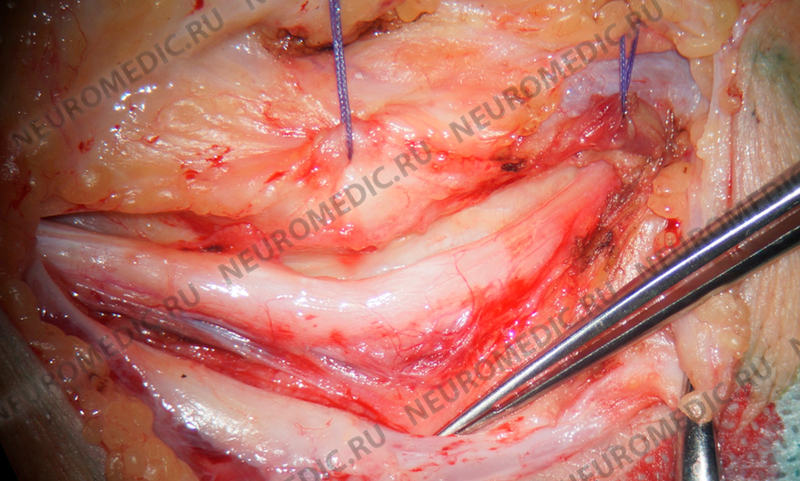 Dissected cubital tunnel (7). The flexor carpi ulnaris is sectioned longitudinally (8).